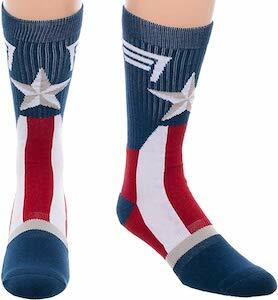 Now your cold feet can be covered in these amazing looking Captain America Star Socks. 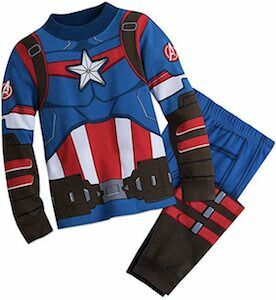 These are crew style superhero stocks that are made from 75% Cotton, 23% Polyester, 2% Spandex and will fit shoe size 8 -12. As you can see the Captain America socks are blue with red and white stripes and a big star on the front and the little wings on the side to make it all look like it is part of the Captain America costume. By wearing these superhero socks you will get extra powers so that you are ready to have an amazing day and it does not matter if you wear them to work or on adventures. Now you have this amazing looking Captain America on his bike figurine. The figurine is perfect for all the fans of Captain America and who loves motorbikes as you can find the Marvel superhero on his bike. 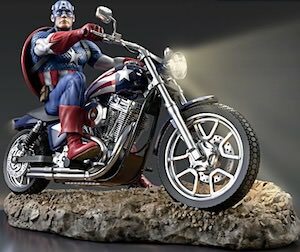 The figurine is 12 1/2 x 9 1/4 inch and looks amazing as it shows Captain America on his bike and even the motorcycle is decorate in stars and stripes and even has working lights. This really is an amazing display piece that will look great in your home or man cave and as it has working lights on both the front and back it even looks amazing in the dark. If you like superhero footwear then come check out these Captain America slippers with wings. These slipper are red and blue and even have white wins on the side. The slippers are light blue on the top with on top the famous shield of Captain America. You can get these Captain America in many sizes and they will work great on both men and women. Now winter can come because you have the slippers that keep your feet warm. 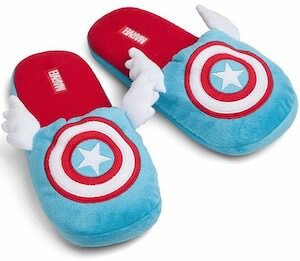 The bottom of the Captain America slippers is made from fabric so don’t take them outside but they do have nonslip dots so that you won’t slip while running around your home. If you want an amazing backpack then you have to check out this Captain America backpack with lots of pockets. This Marvel backpack is something amazing looking as it really looks like a nice bag something a soldier really could be wearing only this backpack is blue with the Captain America details like a star and red and white stripes and even a pocket marked with an A. 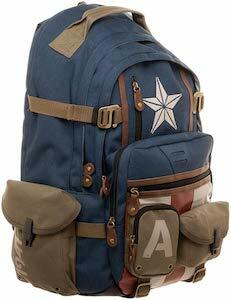 The Captain America backpack is great for back to school, the office, and many other adventures. And this Captain America bag can hold up to a 15 inch laptop and as it has lots of pockets you can really organizing your things perfectly. 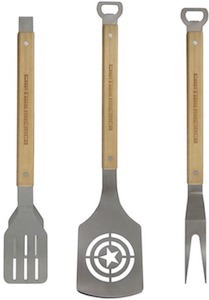 Now you can BBQ in Marvel style then you should check out this set of Captain America BBQ Tools. The grill tools are made from stainless steel and they have wooden handles and on the handles it says “Captain America” and then you can find the Captain America shield logo cut out in the steel of the spatula and besides the spatula there is a BBQ fork and some tongues all in the same style and all made to make your BBQ season amazing. So now you can feel like a true superhero because you are making the food on the grill with some amazing tools. 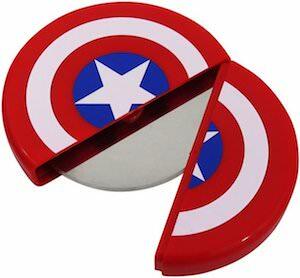 If you are a Captain America fan that loves pizza then you just have to check out this Captain America pizza cutter. The pizza cutter is 4.25 inch in diameter and looks like the shield of Captain America only this shield opens to reveal the pizza cutter blade and that is all you need to cut that yummy hot pizza when it comes straight from the oven. Now you can feel like a true Marvel superhero as they all love pizza before they go on another adventure and now you can too all thanks to this Marvel pizza cutter that is just made for you. If you have a muscled body and like Captain America then you want to check out this Captain America costume t-shirt. 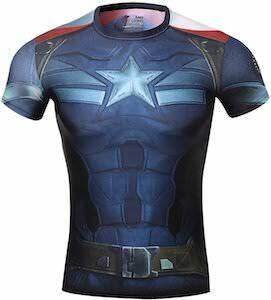 As this is a Captain America compression shirt it will look stunning around your tight body. 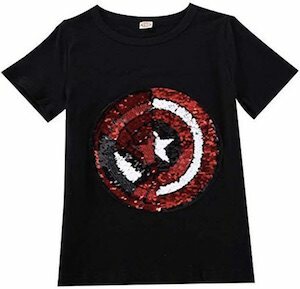 And this Captain America t-shirt is like you are wearing the real Captain America outfit complete with the shield on the back. So now you have the perfect t-shirt to wear to the gym or as a Halloween costume. All in all the perfect t-shirt for a true fan of Captain America and it is available in many men’s sizes and I expect it to look great on women too. 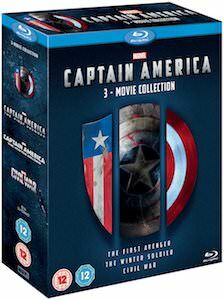 If you like Captain America and want to watch some nice movies then you should check out this Captain America 3 movie set. And besides just watching the movies all these discs also have extra’s that you didn’t see in the movie theater and a true fan of Captain America wants to make sure that they seen all the extra’s. When owning this Captain America set you are all ready for a rainy day or just when you want to watch your favorite superhero when ever you want.